It almost goes without saying that if you love Cognac then you’ll probably be pretty keen on other alcoholic beverages as well. Like wine, for instance. But for the novice, understanding the difference between wine and Cognac can be a little, well, confusing to say the least. Because Cognac is made from wine, right? So why is one a brandy and the other not? Well, Cognac Expert is pleased to help clarify the differences between the two in this, the next in our series of educational Cognac articles. If you are interested in our 5 Cognacs for wine drinkers, please go to the bottom of this article or click here. OK, so let’s start with this very important point: The one main aspect to understand when you ask, what is the difference between wine and Cognac? So, if we understand that brandy is MADE from wine, then we can begin to look at further aspects that make the two so very different. As an aside, there are also many differences between Cognac and brandy­–although Cognac is indeed a type of brandy. However, only brandy produced in the strictly determined Cognac region, and made to very specific guidelines, can be marketed as Cognac. Find out more details in our article, What is Cognac? Wine is made by crushing the grapes and then pressing them to extract the juice. This juice is then fermented­, which means that the sugar contained within the juice turns to alcohol. Winemakers use many different techniques to assist this process. But the end result is wine that will then be aged in various different ways before being bottled and sold as the product we call, simply, wine. Now let’s look at how Cognac differs, even though we already know that it begins life treading along the same well-worn path. The grapes are picked, crushed and pressed, and then fermented. But it’s after this stage where the big differences begin to become apparent. 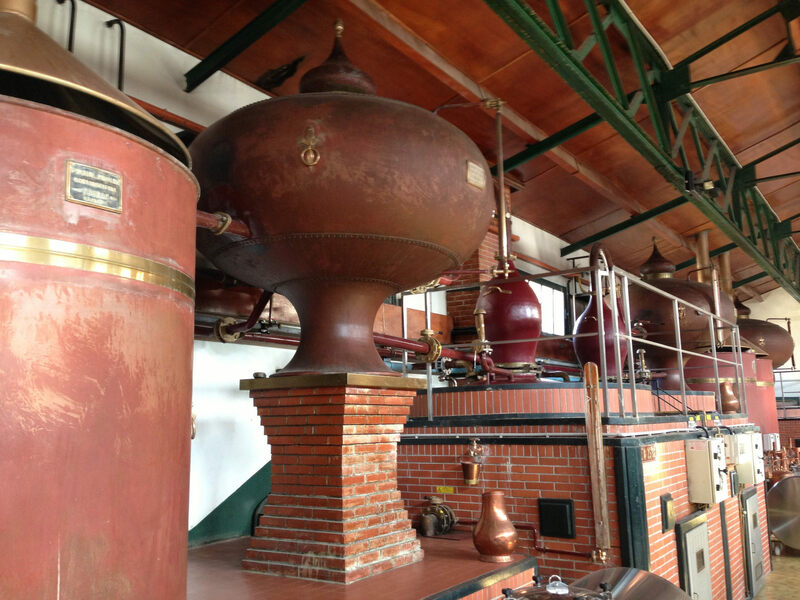 In the process of making Cognac, the fermented wine is then distilled twice in alembic pot stills. Within these stills the liquid is heated, and the various volatile components within the liquid are separated and removed. This concentrates the alcohol. The process is carried out twice, which is one of the unique aspects of Cognac making. This is referred to as ‘double distilled’. The end product of this distillation process is the base component of Cognac, eau-de-vie. Read more about this double distillation and alembic pot stills here. There are many different types of grapes used to make wine. These include, Chardonnay, Sauvignon Blanc, Shiraz, Riesling, Pinot Gris, Muscat, Semillon… The list is rather long, and is made up of white grapes, red grapes, and black grapes. 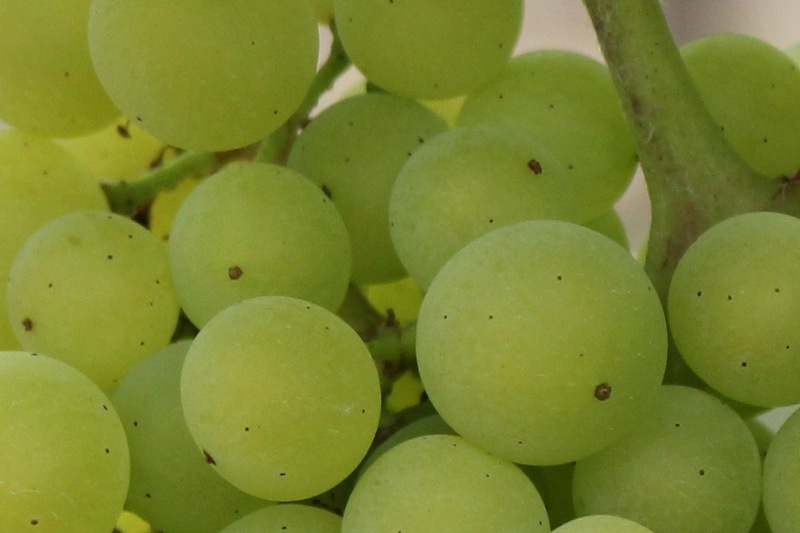 These are all white grapes, and produce a wine that’s light and with high acidity. In all honesty, you wouldn’t really want to drink such wine; it’s not so great. But it is perfect to be distilled and turned into Cognac. This is because the acid levels and alcohol levels of around 9%-10% help to preserve the wonderful floral, fruity aromas and flavors of the grapes that are so important when it comes to making Cognac. Discover more about the three different types of Cognac grapes. When it comes to aging, there’s a single, vital, difference between wine and Cognac. And this is that wine will continue to age in the bottle. Cognac, on the other hand, does not. In practice, this means that if you purchase a good bottle of wine it’s customary to ‘lay it down’ to further continue the aging process. This allows the structural acidity and tannins to drop, therefore changing the flavors and even the color of the liquid. But if you buy a good bottle of Cognac, the entire aging process has been carried out in the barrel. In other words, before the liquid is bottled. Once encased in glass, the taste, color, aromas, and flavor tend not to change. So the contents of this illustrated bottle of 1811 Napoleon Grande Reserve will be (probably) the same as they were the day it was bottled. The taste, flavors, and aromas will not have continued to age, because the liquid within finished all of its chemical changes within the barrel, not the bottle. The fun aspect of such old Cognacs is that in all reality, they’ll never be tasted. If they’ve lasted centuries or more, they really are collector’s items, and as such will be kept intact. Find out more about the aging process and different qualities of Cognac in our article, All About Age. It’s true that a large proportion of the grapes grown in the vineyards of the Cognac region are, of course, used to make Cognac. But not all of them. The winemakers of the region do make wine as well. 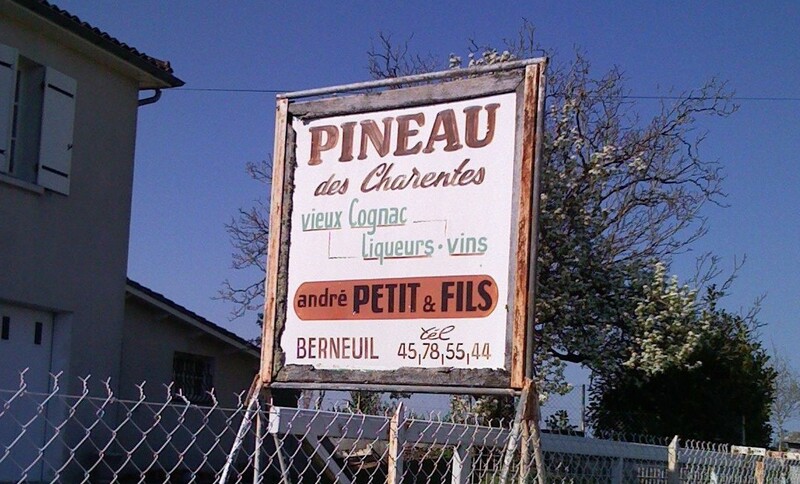 In addition, many Cognac producers also make a product known as Pineau des Charente. This is a fortified wine made from fresh grape juice and young eau-de-vie that has been aged in oak barrels. Read more about the delight that is Pineau des Charentes. Wine can be made anywhere in the world. Of course, French wines are world famous, but there are fabulous wine producing regions all around the globe. South Africa, New Zealand, California, Spain, Italy… The list is very long. One of the oldest wine producing regions of the world is Georgia (the country, not the state found in America). 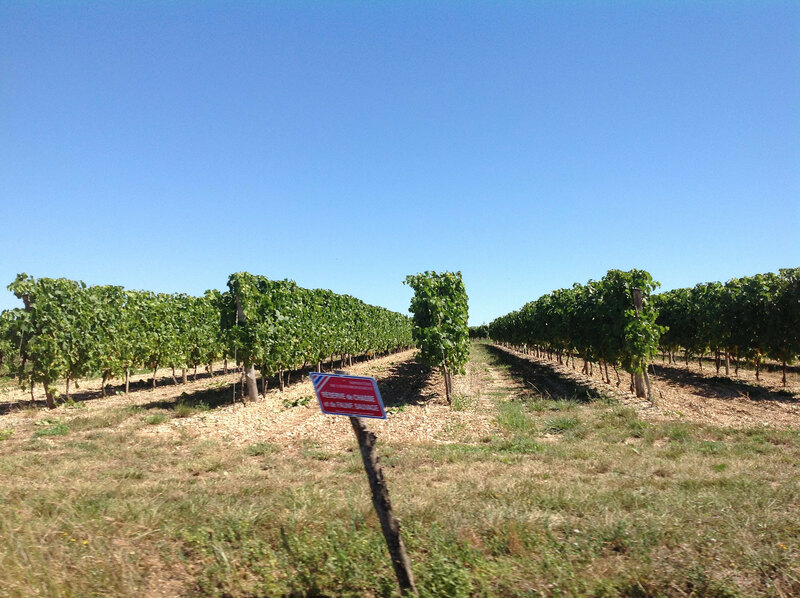 Cognac, however, can only be produced in the small region of South West France. This area us divided into six ‘terroirs’. These are Grande Champagne, Petite Champagne, Borderies, Fins Bois, Bons Bois, and Bois Ordinaires. 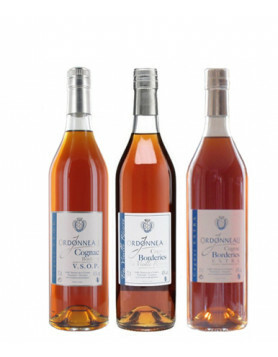 Discover more about these in our article, The 6 Crus of Cognac. i) Whilst it’s generally accepted that wine is made from grapes, there are other types of wine as well. These could be made from different fruits, or even from grains such as from rice. However, in such cases they’ll generally be referred to as ‘rice wine’, or whatever the wine is actually created from. ii) While Cognac doesn’t age in the bottle, the contents can evaporate over time. Although this tends to be over a period of decades and centuries, rather than years. 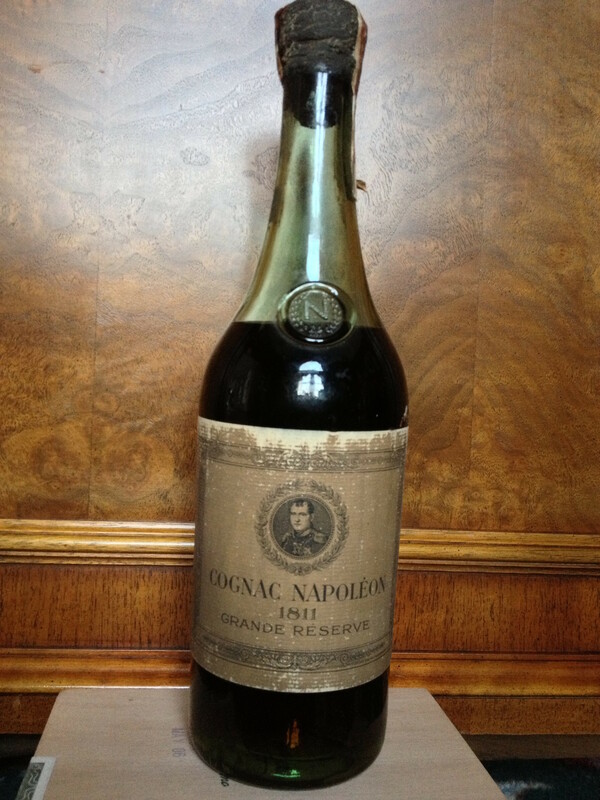 To see some examples, check out the range of old and collectible Cognacs that we have in our ‘auction’ section. Here you’ll find rare, investment opportunities brought to our attention by members of our global Cognac Expert community. These are bottles offered for sale by and to collectors. Even if you’re not in the market for such a purchase, perusing what’s on offer is a great way to while away a few minutes (hours! 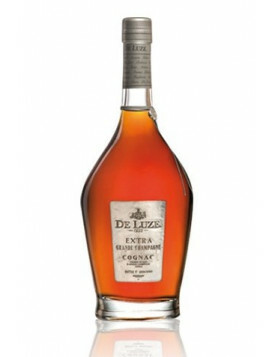 ), in addition to increasing your knowledge of the honorable drink that is Cognac. Let’s briefly sum up the most important points to understand about the difference between wine and Cognac. Wine is made from the juice of fermented grapes. Cognac starts life as the juice of fermented grapes, but is then double distilled to increase the alcohol content and create eau-de-vie, the base component of Cognac. Cognac is made from ‘poor quality’, highly acidic wine. Wine can be made from a huge variety of grapes. Cognac can only be made from a small, specific variety of grapes. Wine can be made anywhere in the world. Cognac can only be made in the Cognac region. Wine ages in the bottle. Cognac doesn’t. The team at Cognac Expert are committed to bringing our readers the most accurate, yet easy to follow articles on all things Cognac. To learn more check out our ‘What is Cognac?’ section that demystifies many of the commonly misunderstood intricacies of the iconic French drink. Because we like the Thorins, and their Cognacs. This Cognacs is purely made of Folle Blanche grapes, a single-grape-variety Cognac. Because this AE Dor Extra Old is a blend of eaux-de-vie from the two best vineyard growth areas of Cognac: Grande Champagne and Petite Champagne. Together, they make up a Fine Champagne Cognac. 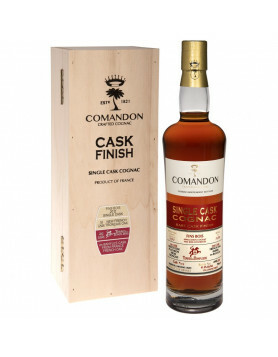 This VSOP because it’s a well crafted, awarded, very solid value-for-money Cognac and a single-estate Cognac. It means that this Cognac is made of grapes that come 100% from the Abecassis estate (which is by the way not war away from our farm, 15 minute or so). Gourmel because their range of Cognacs is rather fruity and we like this one a lot. The Gourmel Cognacs really represent the style of grape & fruit. Because this is wine making and cognac making at its purest: Grande Champagne, a small family owned Cognac house AND organic (not easy! ).